Anthony Tusler, Director AboutDisability.com Anthony Tusler is a writer, consultant, trainer, and advocate on disability issues. He has written curricula for the World Institute on Disability and taught Disability in America at Sonoma State University. He is the author of the book, How to Create Disability Access to Technology: Best Practices in Electronic and Information Companies. 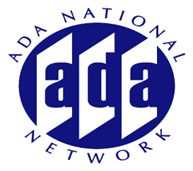 His web site AboutDisability.com is the home for The New Paradigm of Disability Bibliography. He also writes and lectures about disability arts and culture.